When Cammie Morgan visits her roommate Macey in Boston, she thinks she’s in for an exciting end to her summer. After all, she’s there to watch Macey’s father accept the nomination for vice president. But when you go to the world’s best school (for spies), “exciting” and “deadly” are never far apart. Soon the girls find themselves trapped in a kidnappers’ plot, with only their espionage skills to save them. http://barbiekait.booklikes.com Life Is Classified 5.0 Don't Judge a Girl By Her Cover by Ally Carter Book Review! 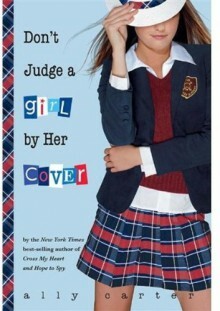 text Don't Judge a Girl By Her Cover by Ally Carter Book Review!